Imagine a bible story where Peter wants war, Jesus falls into trances and faints all the time, and Judas is the most likable character. That is Mary Magdalene in a nutshell. I walked into the theatre quite hopeful. 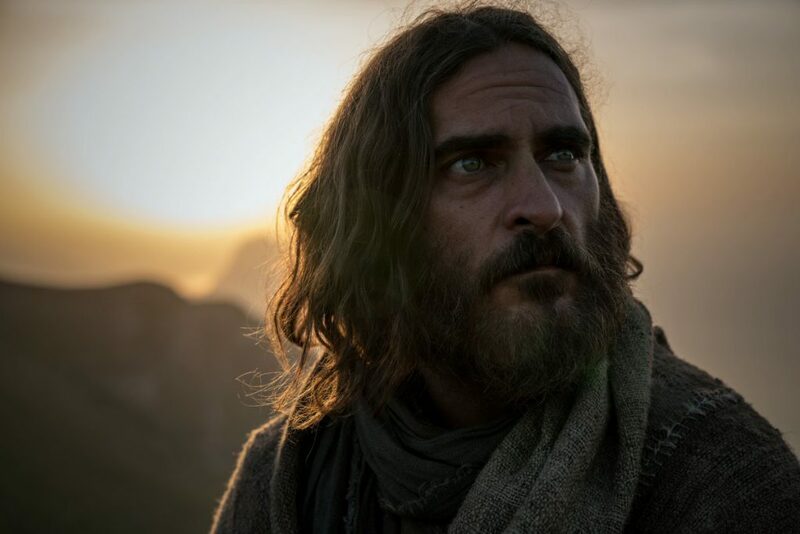 It looked like there was a decent budget behind the film and the friend I went with was pretty impressed with the cast, bar Joaquin Pheonix (who plays Jesus). It came to pass that her general dislike of Pheonix foreshadowed what was to come. I’m just going to say it. Mary Magdalene boasts the lamest Jesus I’ve ever witnessed. I’ve seen babies play better Jesus’s! Phoenix would walk around in a sort of drugged-up dream state and talk very passively and quietly. When healing people, Pheonix would strain himself as if he was trying to squeeze healing juice out of his fingers – and then he’d collapse from the effort! Um, for a guy who’s supposed to be God, you’re looking a bit pathetic. Jesus only appears powerful here because of the low camera angle. That’s called movie magic. One of biblical Jesus’ finest moments is when he was so angry at the merchants in the temple he literally flipped tables and kicked the seats out from under people. Once he threw them out, he healed the sick and crazy kids ran around singing his praises. In the recreation of this scene, what did Pheonix’s Jesus do? I’ll give you a clue: think lame. Pheonix was quietly angry for a moment and then tried (and failed miserably and embarrassingly) to break apart some wooden railing no one cared about! Hang on, sorry, are you trying to make a fool out of yourself and your followers? Because you’re succeeding. Oh, mate, are you alright? You seem to have fainted. Again. Now, there’s a man I’d pledge my whole life to. Phoenix never made me believe that Jesus would gather a bunch of followers and begin one of the most influential religions in history. He spoke like a hippy who was constantly high, never looked intelligent, and his eyes never quite spoke of love or a desire to connect on a personal level. He was quiet, timid and weak. Judas (Tahar Rahim) on the other hand, I’d follow that guy. Judas’s character arc is the saving grace of the film. Despite wanting to walk out of the theater many times due to pure boredom, I wanted to finish the film just for him. Judas spoke with passion and joy, and you could see in his eyes that he believed the words that came out of his mouth. That is a man who inspires followers. I was genuinely intrigued with the story and context they gave him. He’s the guy who’s most accepting of Mary Magdalene and even stands up for her when some of the other apostles (*cough* Peter *cough*) said she was cramping their style. Peter (Chiwetel Ejiofor) very nearly had some character development! He was all, “Ugh, she’s gonna make us look weak,” Then there’s a scene where he’s in absolute awe of her and even tells her so! But the next time they talk he’s reverted right back to where he started and tells her that she’s the weakest link. Again. Cool man, have you learned absolutely nothing from your time with Jesus and Mary? 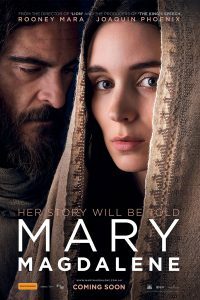 Oh, right, let’s talk about Mary. I found Mary (Rooney Mara) to be quite … empty, as a character. It was like we were just watching the events from her eyes as she sort of followed the apostles around like a lost dog. Okay, so there were some great moments where she went out and actively tried to help others and baptised people. But the majority of the film I really had no idea what she was thinking. She felt like a blank screen I was watching everything else from. Praise the Lord, though, that they didn’t do any weird romance between her and Jesus. This is the only expression she ever seems to have. Such emotion. If all of that doesn’t make you rethink purchasing cinema tickets, the movie is far too long. There is so much useless story they didn’t need, and a whole lot they left out that they should have had. They skipped over things like Jesus saying “One of you will betray me,” at the Passover. I was really surprised, as Judas was the most developed character. He would have taken the statement as confirmation from Jesus himself to go do what he was already planning to do! But by this stage the writers had obviously gotten bored with their own writing and began to jump major events. They even had Mary get knocked unconscious to make her miss everything between Jesus being captured and getting crucified! But in all honesty, I was relieved. I just wanted the movie to be over and done with. Once you finally get to the end of the film you realise that nothing that happened actually mattered! Jesus is alive, but seems content to sit in a field and gaze dramatically over the valley. The disciples kick Mary out and prepare for war. Judas is dead, so all the beautiful character development he had was all for naught. And Mary wanders silently away. Probably to chill with Jesus in a paddock forever. Well, he is the Lamb of God, I guess. Wait, hang on, that’s it?! Everyone is still where they fricken started! There was absolutely no point to anything that happened in the film! Including Jesus’ death! I was so annoyed. Actually, I lie. The movie ended, so I was happy.